Moroccan Meatball Sauce is an aromatic tomato-based sauce enriched with a blend of spices to complement a variety of dishes including classic Moroccan Meatballs. Use as a base for casseroles, as a cooking sauce, a pour over sauce or as a dip straight from the jar. 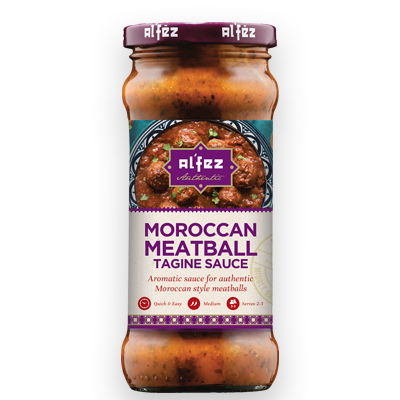 Also terrific with lamb, chicken or vegetables as a casserole or tagine and delicious served with couscous or rice.